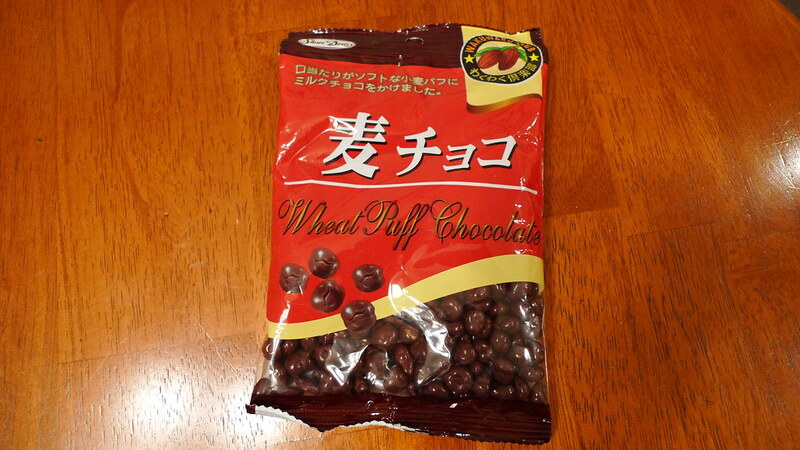 Wakuwaku Club's Wheat Puff Chocolate is basically chocolate covered barley puffs. The best way to describe it is chocolate covered Smacks cereal. If this sounds delicious to you, trust me when I say that it most certainly is. If you're not a fan of Smacks, then you might not like this. 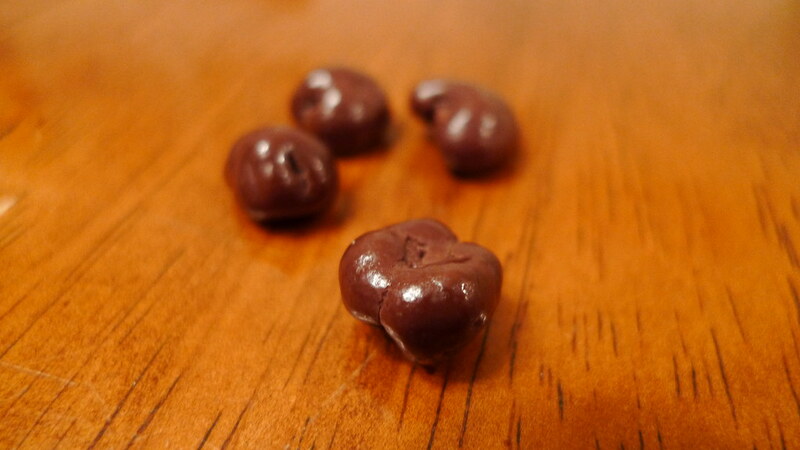 Wheat Puff Chocolate looks like a smaller chocolate covered raisin, or maybe a chocolate covered coffee bean. The chocolate is good quality, but is slightly darker than milk chocolate. I wonder how good this would taste with a lighter chocolate. Possibly better. The wheat puff was not as crunchy or crispy as cereal or as I would have liked it. Every once in a while, I would eat one that seemed stale. 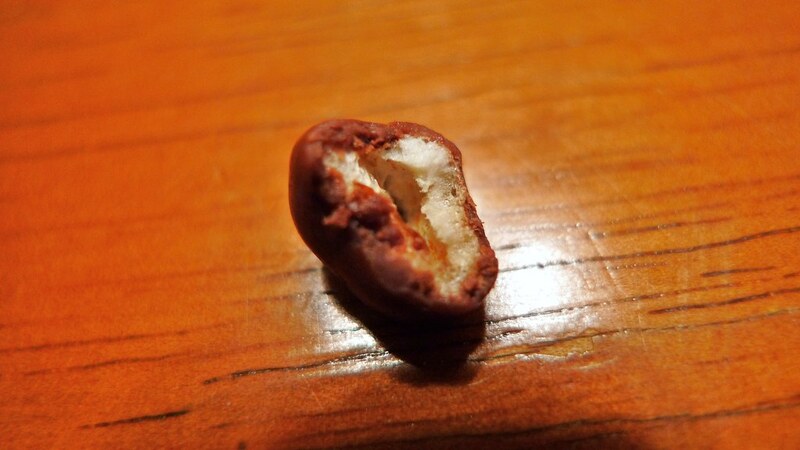 A bite into a Wheat Puff Chocolate. In a world where we coat everything with chocolate these days, I don't know why the American food industry hasn't tried to make this product. It's very addictive as I remember finishing the whole bag in two days. If you are lucky enough to come across this product or similar ones (Wakuwaku Club is not the only company that makes them) at your local Asian grocery store, definitely give this a try. I know I will, again.